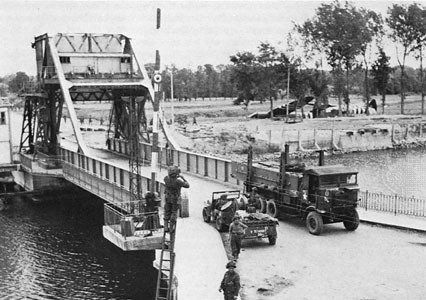 Two attempts were made by the Germans to recapture the bridge, before parachute reinforcements arrived at 0300. 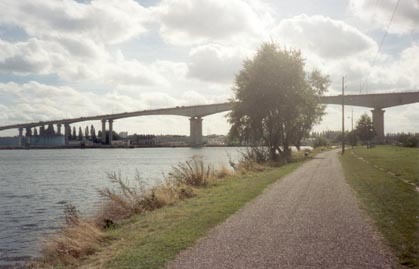 Troops from the beaches reached the bridges at about 1230-1300. 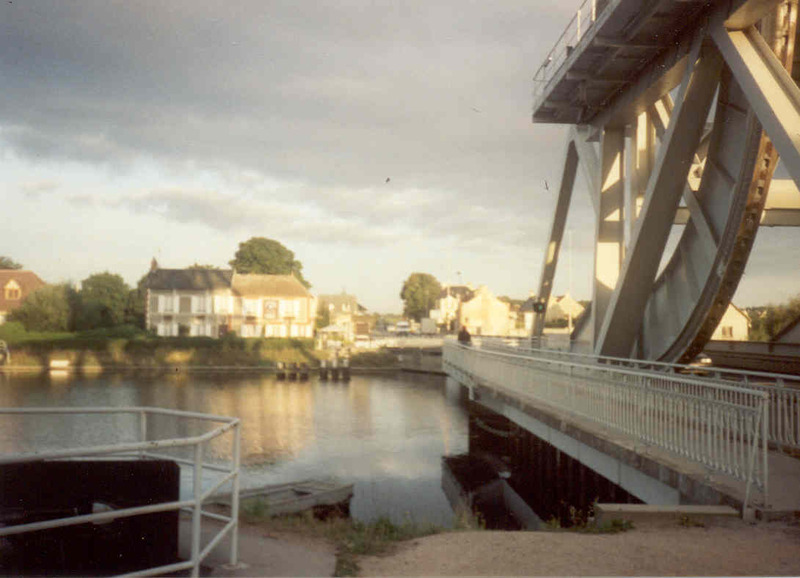 The bridge over the canal now carries the name of Pegasus Bridge, after the insignia of the 6th. Airborne who had captured the bridges. The name was a deliberate deception, in fact Britain only had two airborne divisions, the 1st. and the 6th.